Besta FA Cup women's division winners Port Moresby. Morobe Football Association were crowned the Besta FA Cup men’s division winners after beating Madang’s Almami in a thrilling final at the PNGFA Academy field in Lae on Sunday. The grand final proved a repeat of July’s game in Madang when Almani bagged top spot after beating MFA 1-0 in the Momase Regional Besta Qualifier. Morobe opened the scoring through captain Nigel Dabinyaba in the 15th minute before they added a second a few minutes before half-time through Player of the Match, 17-year-old John Moasi. Almami put up a strong defensive fight through Nigel Malagian and Julius Mime, and had some decent chances on goal via Jordan Karen and Brendon Kambual, however they couldn’t post any goals. However when Sombo Goro found the back of the net in the 60th minute it all but sealed Almami’s fate with the 3-0 deficit proving too great for the side to try and comeback from. 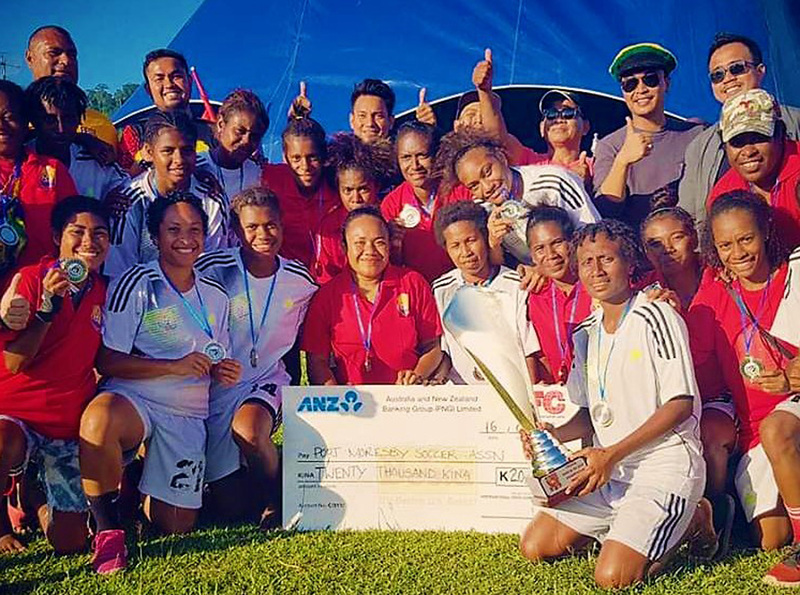 In the women’s division it was Port Moresby Soccer Association lifting the trophy after defeating Morobe 2-1 in a thrillingly close final. During the presentation International Food Corporation senior sales and marketing manager Roslan Wahed said the company continues to support the competition for the role it plays in the developing and maintaining of football in the nation. “We want to help develop soccer in the country and make some of the players marketable in the national and international scene,” Wahed said.